The most popular size of Malo yacht offering spacious family cruising in a comfortable and incredible safe and seaworthy yacht. The large, deep cockpit offers exception protection. Large cockpit lockers and stowage throughout the interior easily handle cruising and live-aboard equipment. 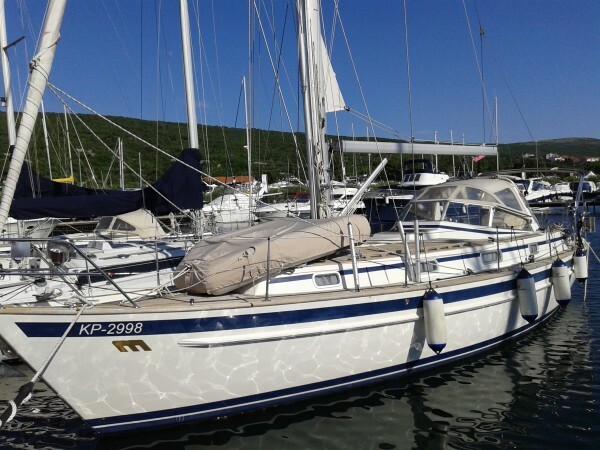 This very well maintained Malo 36 has been in the same ownership since new. Only used in the summer season, she has been covered during the winters meaning she remains in excellent condition. A record of her use and maintenance demonstrates how well she has been looked after. The specification below details the main features and equipment but not the extensive cruising inventory that is also sold with the boat. Available for viewing, Tinga Tinga is located in Croatia and within easy driving distances of the airports of Venice, Trieste, Pula and Ljubljana.